Does your child struggle in an area of character like slothfulness? Could you use a little help addressing them about their weakness? Sometimes our kids welcome the advice of a total stranger in the same areas they’ve been ignoring parental council. While we would love for them to hear from mom and dad, it is more important that they get the truth they need. I wrote Wise Up, in part, to provide an objective outside voice for parents. Before you are too critical of the sluggard, compare your bedroom to the vineyard. Do you have dirty clothes scattered on your floor like weeds? Do you have things lying around where they can be tripped over? Is your bed unmade? Do you leave dirty dishes and half-eaten food lying around to attract insects and rodents? Now if you are like me, you’ve beat the drum of “clean up your room” a thousand times with no change. While there is no guarantee Wise Up will transform them, it does provide a valuable second voice and also a landing strip for further conversation with your son or daughter. Parents, if you feel like a broken record or brick wall that your kids seem to ignore, let Wise Up ask your children the tough questions on topics like welcoming correction, choosing wise friends, and following parental instruction. Since each area of godly character presented by Wise Up is tied to our need for Jesus, you get to sit back and watch the Holy Spirit use the Word of God to transform your children. What could be better than that? 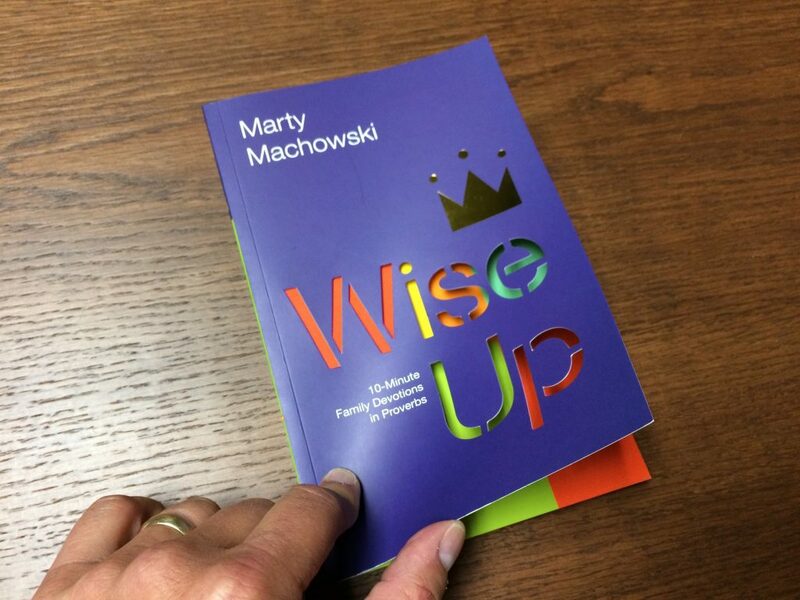 Get some much-needed reinforcement for your parenting journey and order a copy of Wise Up today. Being a new parent myself, I’ll be needing all the help I can get. Thanks for the heads up on the book Wise Up.